Stunning and spacious townhome with magnificent views! Laminate wood-look flooring planks throughout. Gourmet cook's kitchen with abundant cabinetry, granite countertops and stainless steel appliances. Walk-in closets in all bedrooms. Large laundry room with washer, dryer and utility tub. Beautiful wide plantation shutters throughout home! End unit with several guest parking spots adjacent. This magnificent townhome is truly better than new and only two years old - you will love it! Long Lake Ranch amenities include playground, community pool, tennis, basketball, dog park and a beautiful walkway around the lake. 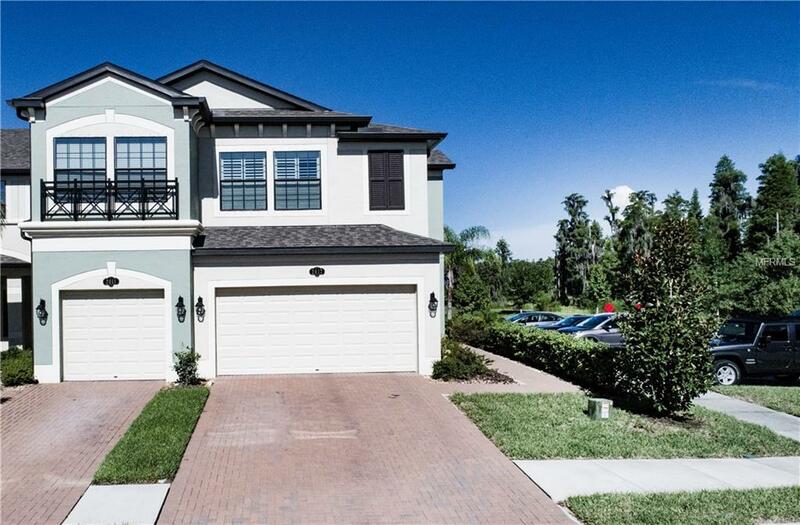 It's a most convenient location close to shopping, schools, medical facilities, and major thoroughfares that will get you quickly to all that the Tampa Bay area has to offer!